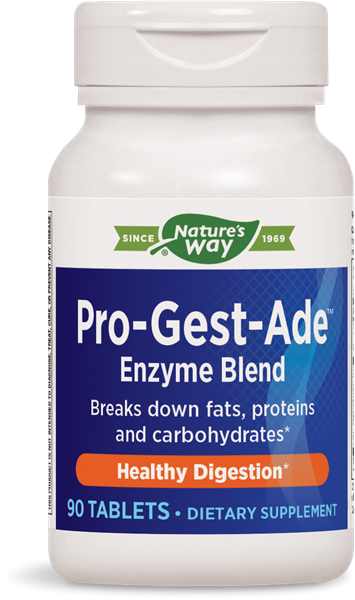 Pro-Gest-Ade™ / 90 tabs - Nature's Way®. Take 2 tablets with meals. Caution: Not recommended for use if peptic ulcer, gastritis, or heartburn are present. If pregnant, nursing, or taking any medications, consult a healthcare professional before use.